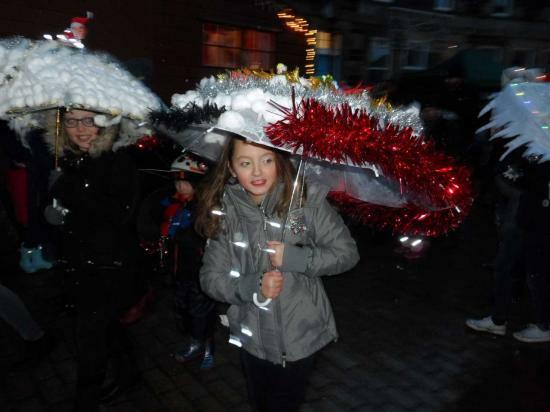 Despite another atrocious day for weather in Caithness the decorated umbrellas parade and switch on of the Christmas Lights went ahead. Santa was kept busy chatting to kids in his hut in Market Square. See all the photos in the gallery - link above..
See a few photo of the fun run in the Photo Gallery link above..
Great night for the Gala. Many photos now in the gallery and more coming on Sunday.. INTERMITTENT rain failed to dampen the imaginative enthusiasm of entrants at the fancy dress competition at Braehead - one of the most popular events in Wick Gala Week's packed programme..
WORZEL Gummidge would doubtless have dismissed it as the last straw...scarecrows deserting their field posts to show themselves off in town.. Goodness knows what Aunt Sally would have said. The weather cleared away the mist and the Wick Gala 2016 saw a great parade with amazing costumes. See over 500 photo in the galery above. The rain came down but the crowd voted to go ahead with the event. See all the photos in the gallery above..
Wick Gala 2015 got off to a great start with another fabulous show of decorated floats with many themes. The foot walkers with their collecting tins were as amazing as usual for Wick Gala.